Alcohol Free Wipes x 10, Gloves x 2 pairs, Guidance leaflet x 1, Large dressing x 2, Medium Dressings x 6, Eyepad x 2, Plasters x 20, Safety pins x 12 and Triangular bandages x 4. Alcohol Free Wipes x 10, Gloves x 4 pairs, Guidance leaflet x 1, Large dressing x 3, Medium Dressings x 9, Eyepad x 4, Plasters x 40, Safety pins x 12 and Triangular bandages x 6. Alcohol Free Wipes x 20, Gloves x 6 pairs, Guidance leaflet x 1, Large dressing x 4, Medium Dressings x 12 Eyepad x 6, Plasters x 60, Safety pins x 12 and Triangular bandages x 8. What is the purpose of the Green Box First Aid Kit? To allow employees a safer environment within the workplace. Kits include; a 10 person, 20 person and 50 person kit, available for different size companies. 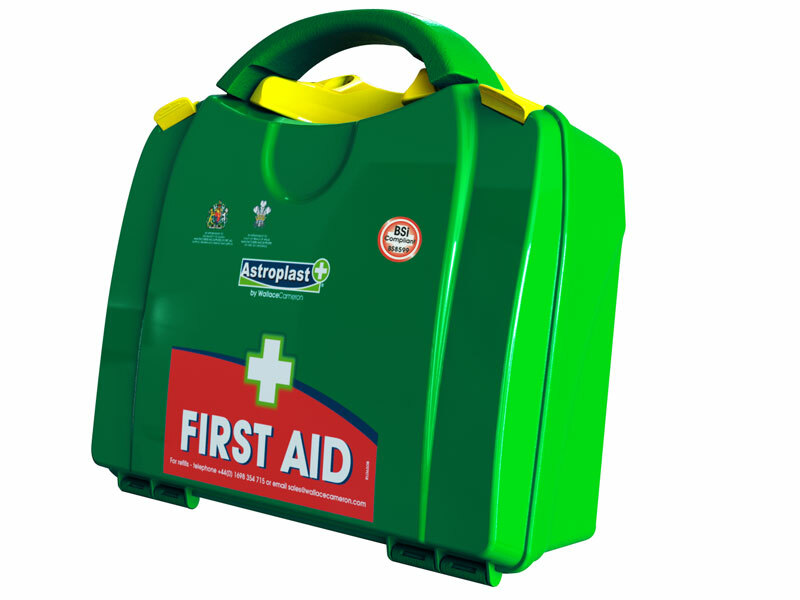 Essential first aid equipment to allow businesses to carry out the necessary basic first aid needed. 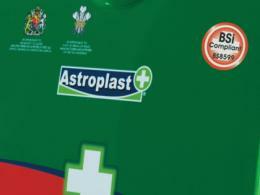 Where can the Green Box First Aid Kit be used? 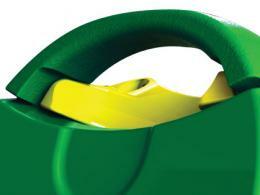 The green box first aid kit is suitable for any size business. They are very visible and easy to use. Who might use the Green Box First Aid Kit? First aid kits are a necessary piece of equipment that is needed in every workplace, business and school. 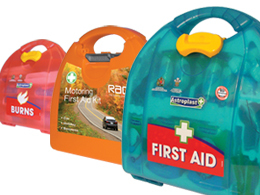 Having 3 ranges, this first aid kit caters for any size. You can rest assure that using this product will enable you to meet the legal requirements for health and safety regulations. All of the first aid equipment is in date and ready to be used. The Green Box first aid kit has a one year warranty as well as a price match promise.